I recently bought a CP-16R off a popular auction site for a steal, less then $250! I thought it would go for much more, sweet lens but no battery or charger , and as I am yet to collect and inspect the camera, no idea if it works, but for less than $250 a wee bit of TLC might solve any issues. I have do e a little research and it seems the camera certainly may have some foibles, but I love to tinker, and I have a mate who is a borderline genius who loves old electronics and solving problems, seems a match made in heaven. Seems every CP-16 should have an electronics guru in their support crew. Can't wait to collect camera and test it out. I also bought an Auricon pro 600 from the same seller a week later, full kit for less than $200! What a surprise! I am so happy that my old “best friend” has found a good home. And, even better, will go to work again. The camera has quite a history. It was imported into Australia by a guy in Perth ... Alex someone, who was the Australian agent. 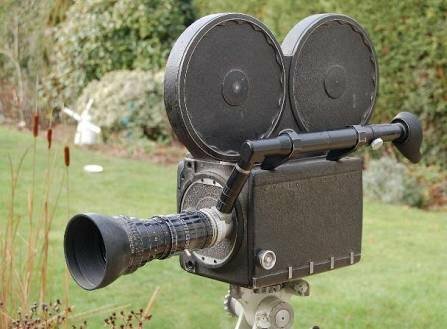 The camera was then bought by the late John Bowring who used it as a freelance news cameraman at GTV-9. I bought the camera from John because I liked the 16:1 Angenieux lense ... one of the few that had no problems. The camera was used as my personal machine while working in Lebanon during the civil war and saw plenty of action and even spent 10 days as a "guest" of Hezbollah. There are not many countries it hasn’t been to. It never, ever missed a beat. The last that I used it for was when I packaged a current affairs program for SBS. Since then it lived in a storage unit. Eventually, it showed some corrosion so I felt it should get a good home. I offered it to many different organisations. No one was interested so I advertised it. A guy who collected film-based equipment bought it about 3 years ago. After that, I have no knowledge. I am so happy it found a good home. I know many people in the industry see the CP cameras as the Holdens of the industry, but My experience is that it is a true Rolls-Royce. I hope you enjoy it. Thank you so much for letting me know that you have it. 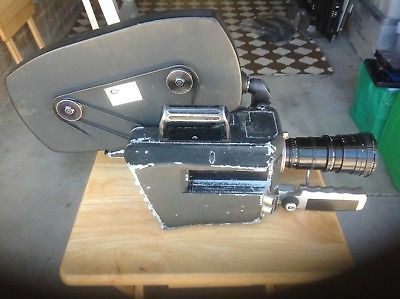 I did some research and it seems both John's were very active in the film industry, the original owner later became a famous cinematographer who helped establish, foster and pioneer the film industry in Australia, the second owner had long been active as a producer. So, needless to say the CP fired up straight away and quickly shredded a belt, so knowing the circuit board is mostly o.k I ordered some replacement belts from Whitehouse AV, ken was very helpful, letting me know they have lots of spares for the CP-16. I am very happy to get hold of a camera that has been used and enjoyed, as I imagine many cameras spend the years slowly decaying out of lack of use, or tortured by film students or delegated to the dungeon by rental houses. I imagine there are quite a few photo journalism 16mm cameras out there with quite a history... Nothing sadder than an old book that has never been read, nothing better than finding a book that is well worn, one can merely imagine the number of people who explored it's pages. Did you find someone in Australia who can service your camera? I just bought one too. It's just the body, but I have some plans for it. The first project is going to be designing a battery and 3D print it. I have a conversion in mind and then if everything works it will be out to get a CLA. I would like to know about the advances that you make with your camera. keep it up. Thankfully in Australia there are still some highly skilled camera tech's. Cameraquip in Melbourne is probably the first stop. Dom is one of the technicians there, he has made up some very good blogs on camera repair and maintenance. Depending how I go with money and time, the CP might need a service later. At the moment I am just firing it up to see how the board is working. The battery packs came with the camera were ruined, all the batteries were oxidised. I bought some replacement solder tab batteries, but after soldering all the batteries into series, I could not fit the batteries back into the box, my soldering was too thick! Really tight fit. So, I am considering just buying some battery holders from an electronics store for around $2.80 each and velcro the buggers to the side of the camera. I intend on using the camera and am not too worried about keeping everything "original"
I used one of those battery holders to power my Scoopic MS and they work just fine. If you look at the specifications of the original battery it only has 500mah, that's nothing compared to what batteries can do today. I have a couple of options, but I think I'm going to have groups on series and then in parallel. 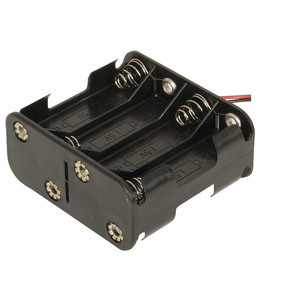 AA rechargeable batteries have around 2,200mah, that's four times the amperage of the original battery. The only problem I saw was charging them, but having those 2 groups mentioned before and considering that DC travels on one direction I can have 2 ports to charge the batteries separate, but when they have to work together they will. 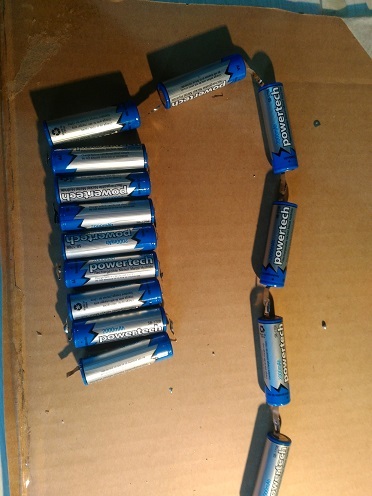 I couldn't find a charger to will work with 20 -24v other than drills ones and other tools chargers, but by separating the batteries in 2 groups I can re-charge them with an inexpensive adapter. I haven't receiver my camera yet, but just by looking at the size specifications on the manual of the original battery I see a few options with rechargeable batteries. To solve the problem of soldered AAs not fitting, I had Digikey make me some packs from 4/5AA cells which are about 10mm shorter. Make two packs containing 8 cells in series and join then together. Each cell costs about $5. Fits in the battery casing with room to spare. Another solution is to use AAA cells instead. Todays NiMH AAA cells have a bit more capacity than the AA cells used in the original packs but would still allow you to use the same original charger. I'd second that recommendation. Those spring battery boxes don't make nearly so good a circuit as a proper spot-welded battery pack; I don't know what sort of current the CP16 will draw on startup, but you may find it leads to shorter battery life through power wasted as heat, and even wasted film as the thing struggles to find enough watts to get up to speed quickly. I might be overreacting, but I would look for somewhere that can spot weld them together properly. There are definitely some good suggestions here, I considered the drill battery solution but considered it expensive. Maybe I should have gone the AAA route, like they say, hind sight is 20/20. The batteries I bought already have the tab soldered on and they were expensive too so I gotta use them now. The battery pack should work well, I will be using a multi meter to check them, but using them in the past i reckon the connections are pretty good, and I think the CP slows its start for a second or two before reaching full speed.